Vietnam visa on arrival is a visa you can get at a Vietnam international airport (Noi Bai, Tan Son Nhat or Danang airport). It is a legal document issued by the Vietnam Immigration Department to give someone permission to enter Vietnam. To be granted a Vietnam visa on arrival, your passport must be valid for at least 6 months and you have to obtain a visa Approval letter. To get approval letter Online please click here. After you got this letter, you will show it to board and show it to get Vietnam Visa stamp at the airport. Vietnam Visa-On-Arrival service is available for who would like to avoid the perhaps lengthening visa procedures with their local Vietnam's Embassies. It helps you save much time and money. We recommend that you should choose Visa Vietnam service upon arrival through our website. 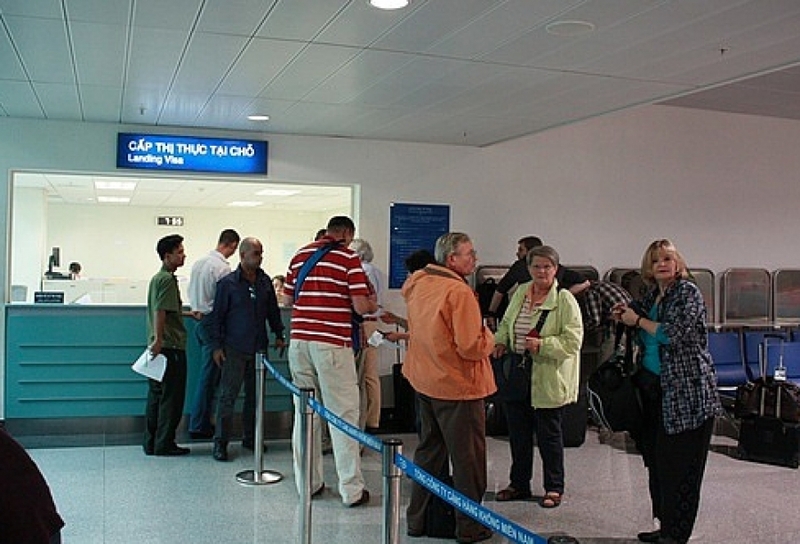 As picking up visa stamp at all of the Vietnam International airports is quite simple, easy, no fail and no additional charges. What is visa on Arrival? This is a commercial website to provide assistance for booking car transfers and arranging visa for visiting Vietnam. We will charge a service fee for providing consultancy, submitting applications, informing the status and send visa approval to your email with instructions. Our fee will be higher than you apply directly on Government Website or at the embassy.